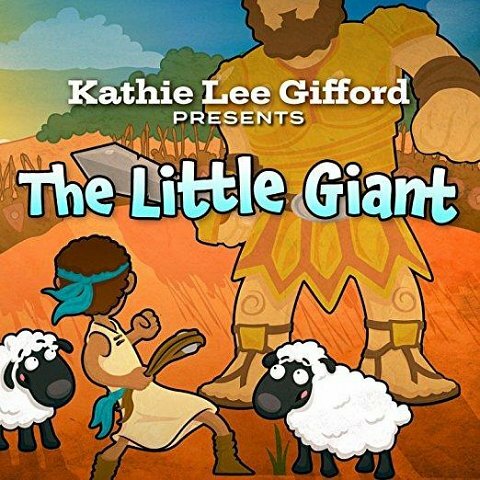 THE LITTLE GIANT is a 30-minute musical experience that allows listeners of all ages to hear the story of David And Goliath in a way that has never been told before. With memorable new songs co-written by Emmy Award winning Kathie Lee Gifford and multi-Gold and Platinum-selling artist David Pomeranz, The Little Giant features Kathie Lee as Narrator (as “Sheeba, the Sheep”) who is joined by some of the most talented and highly-acclaimed Broadway stars on the scene today (not to mention the iconic Regis Philbin to add to the fun). She spins her yarn with wit, emotion and great beauty and it is the perfect way to introduce the important message of this story to the current generation and generations to come. Co-produced by David Pomeranz and Mark Cabaniss, The Little Giant is hilarious, inspiring and exhilarating entertainment that will appeal to both the very young and the young at heart.